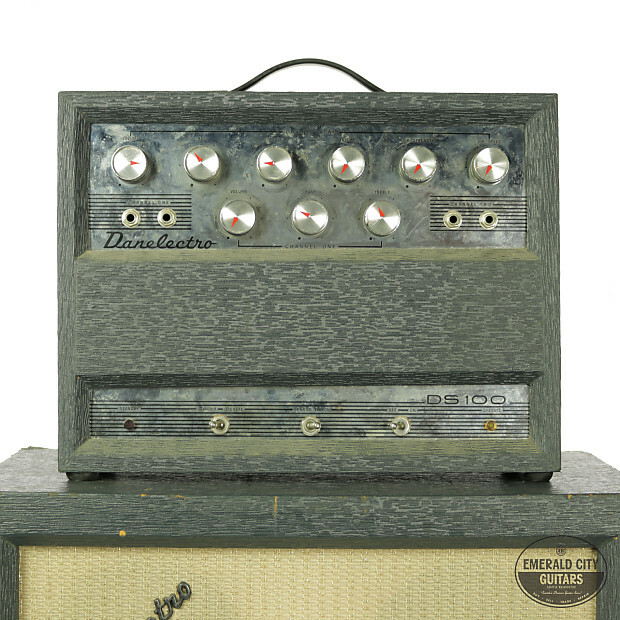 1965 Danelectro DS-100. 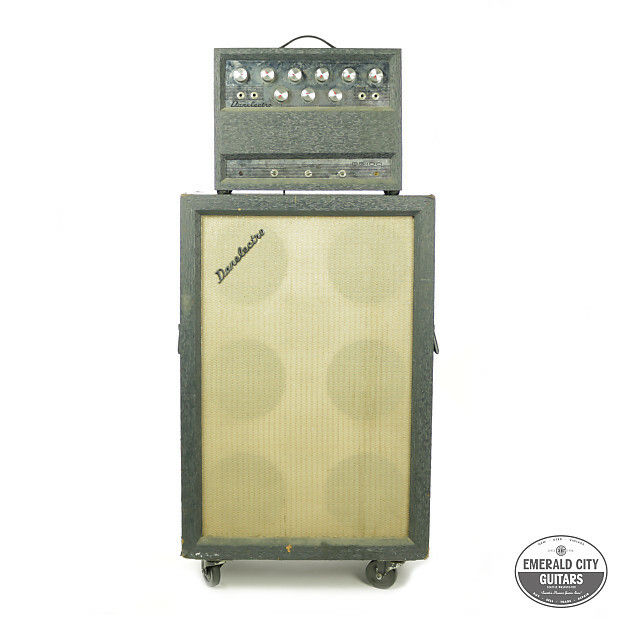 A powerhouse 100-watt Danelectro amp, very similar to the Silvertone 1485! 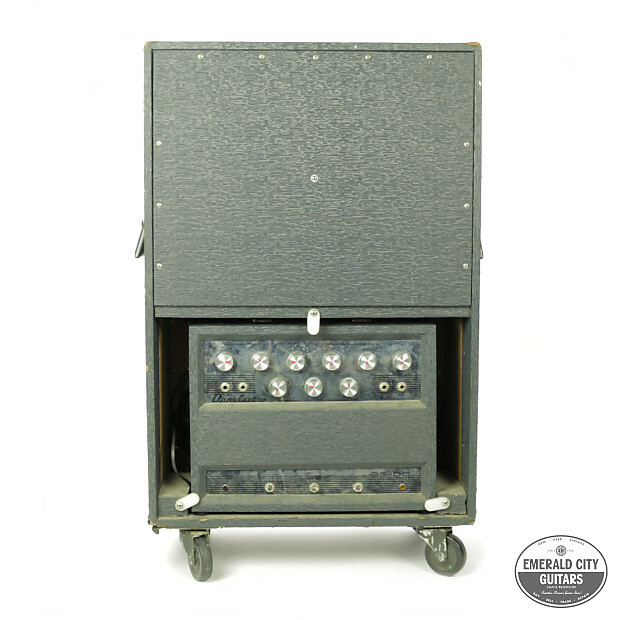 This one features a 6×10″ piggyback cabinet loaded with the original Jensen C10Q speakers. All original with normal cosmetic wear. This amps sounds excellent with a very lively, open clean tone and a wooly, compressed overdrive when cranked. The speakers move a ton of air delivering a huge wall of sound! 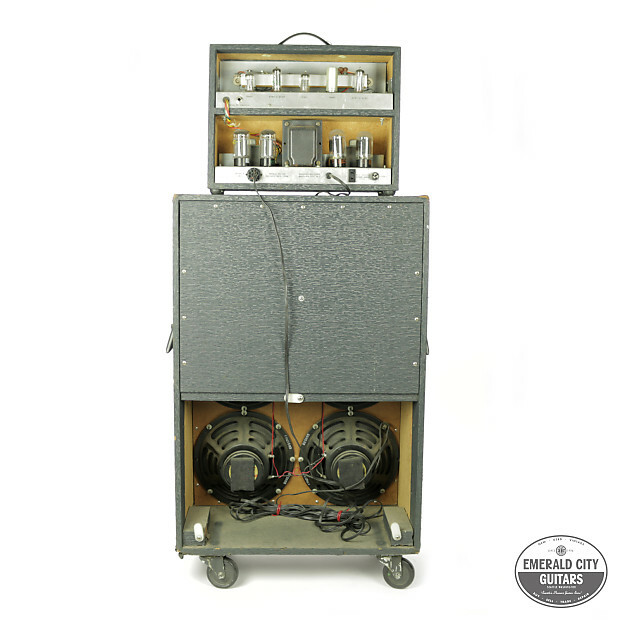 The onboard reverb has a unique splashy, hollow tone and the tube tremolo sounds incredible. 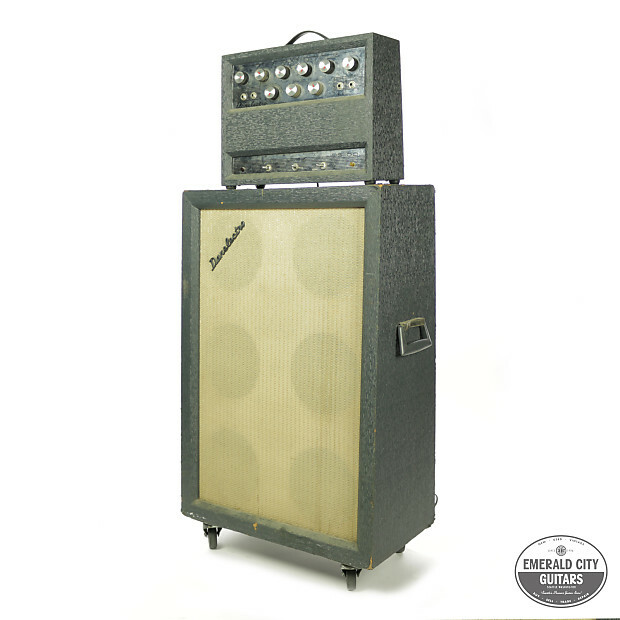 The king of Danelectro amps! Shipping on guitars domestically is a flat $80 unless otherwise specified. Amps and all else is calculated per transaction. International shipping is offered and contact us for a detailed quote. We pride ourselves in safe, attention to detail and strong packing practices. We ship all over the world regularly and are a small staff. Each purchase is hand-packed as if it was our own. Call us for details! Based on purchase price of $1,895 at 10% APR for 12 months. Excludes tax and shipping fees, to be calculated at checkout. Rates range from 10-30% APR. Choose from 3, 6, or 12 monthly payments.